Christ is, or waiting for another? Rejoice in the Lord always; again I say, rejoice. Let your forbearance be known to all, for the Lord is near at hand; have no anxiety about anything, but in all things, by prayer and supplication, with thanksgiving, let your requests be known to God. Lord, you have blessed your land; you have turned away the captivity of Jacob (see Philippians 4: 4–6; Psalm 85: 1). Throughout Advent, the spirit of the Liturgy is one of expectation and preparation for Christmas and for the coming of Christ. Gaudete Sunday in Advent is a counterpart to Laetare Sunday in Lent, and provides a similar break about mid-way through the season of preparation, and signifies the joy and gladness as the Lord’s coming comes nearer and nearer. On Gaudete Sunday, rose-coloured vestments may be worn instead of violet or Sarum blue, and this is noted as an option in the Church of England in Common Worship. On the Advent wreath, the rose-coloured or pink candle is lit in addition to the two violet or blue candles, which represent the first two Sundays of Advent. The readings emphasise the joyous anticipation of the Lord’s coming. We have started Year A in the readings in the Revised Common Lectionary, and the readings for Gaudete Sunday this year are: Isaiah 35: 1-10; Psalm 146: 4-10 or the Canticle Magnificat; James 5: 7-10; and Matthew 11: 2-11. In our tutorial group this morning we are looking at the Gospel reading for that Sunday morning. 2 Ὁ δὲ Ἰωάννης ἀκούσας ἐν τῷ δεσμωτηρίῳ τὰ ἔργα τοῦ Χριστοῦ πέμψας διὰ τῶν μαθητῶν αὐτοῦ 3 εἶπεν αὐτῷ, Σὺ εἶ ὁ ἐρχόμενος ἢ ἕτερον προσδοκῶμεν; 4 καὶ ἀποκριθεὶς ὁ Ἰησοῦς εἶπεν αὐτοῖς, Πορευθέντες ἀπαγγείλατε Ἰωάννῃ ἃ ἀκούετε καὶ βλέπετε: 5 τυφλοὶ ἀναβλέπουσιν καὶ χωλοὶ περιπατοῦσιν, λεπροὶ καθαρίζονται καὶ κωφοὶ ἀκούουσιν, καὶ νεκροὶ ἐγείρονται καὶ πτωχοὶ εὐαγγελίζονται: 6 καὶ μακάριός ἐστιν ὃς ἐὰν μὴ σκανδαλισθῇ ἐν ἐμοί. ὃς κατασκευάσει τὴν ὁδόν σου ἔμπροσθέν σου. 11 ἀμὴν λέγω ὑμῖν, οὐκ ἐγήγερται ἐν γεννητοῖς γυναικῶν μείζων Ἰωάννου τοῦ βαπτιστοῦ: ὁ δὲ μικρότερος ἐν τῇ βασιλείᾳ τῶν οὐρανῶν μείζων αὐτοῦ ἐστιν. ● the joyful return of the exiles from captivity. The exiles shall be restored, and the ‘desert shall ... blossom,’ the fertility of Lebanon, Carmel and Sharon will be given to them as a sign of God’s favour and glory. The land once given over to wild beasts, including jackals and lions, will be cultivated once again, and the barren land will bloom. Human life will be transformed, with the end of infirmity and disability. The feeble, the blind, the deaf, the lame and the speechless shall be restored, along with the restoration of justice and the return of hope. Waters and streams will make the land fertile again. Finally, the exiles, who have been captives in Babylon, will return on a ‘Holy Way’ (verse 8) or a ‘highway’ in safety (verse 9) to ‘Zion’ (verse 10), the holy city, and there once again they will worship God in the Temple. But all of these are not ends in themselves, for they are signs of and point to the hope that God’s rule is being restored and that his favour rests on his people. The Yigdal, which is part of daily morning prayers in many congregations, focuses on the 13 Articles Of Faith that Maimonides says every Jew should believe in. The Yigdal inspired Thomas Olivers’s hymn, The God of Abraham praise (Irish Church Hymnal, 5th ed, No 323). Early Christians anticipated Christ’s return, the second coming, believing it was imminent and would be immediate, and that with it would come the Kingdom of God. Its delay – the tarrying of the Messiah’s advent – caused some difficulties and even some disputes in the Apostolic Church. Here, the Apostle James warns his readers not to be impatient. This impatience may lead to grumbling and division within the church, which will bring judgment, for with the second coming of Christ comes also the judgment of God. The second coming is a two-edged sword: its arrival is a comfort for and a warning to Christians (see Proverbs 5: 4; Hebrews 4: 12; Revelation 1: 16; Revelation 2: 12). Instead, Saint James tells us to be patient in suffering like the prophets, to bide our time like the farmer who plants his crop knowing the rains will come in due time (verse 7). In the same way, the Kingdom is near (verse 8) – it may appear to be tarrying, but it will come in its own time. Though it may tarry, our impatience will not hasten its coming. But we can anticipate its arrival each day with complete faith. The Third Sunday of Advent is associated with Saint John the Baptist. The first purple candle on the Advent Wreath on the First Sunday of Advent reminds us of the Patriarchs; the second purple candle, on the Second Sunday of Advent, recalls the Prophets; the third, pink candle on the Third Sunday of Advent, is a reminder of Saint John the Baptist; and the last purple candle, on the Fourth Sunday of Advent, recalls the Virgin Mary. We already meet Saint John the Baptist by the banks of the River Jordan in the Gospel reading for the previous Sunday, the Second Sunday of Advent (Matthew 3: 1-12, 4 December 2016). Do you remember how John is taken aback when he first meets with Christ? He comes across full of confidence and certainty. He announces the coming of Christ with great hope and expectation, bursting with energy. Yet, when Christ comes to him to be baptised, is there even a hint that John is a little reluctant to baptise him? Have you ever wondered why John does not know who Jesus is? After all, not only has he baptised him and hailed him, he is also his cousin. Considering how close to one another their mothers Mary and Elizabeth have been, why would John now not know who Jesus is? Is this not the same John who leaped with joy in his mother’s womb when he realised he was in the presence of the unborn Christ (see Luke 1: 44)? Have you ever wondered why John was not one of the disciples? We move on quite a bit by the Third Sunday of Advent. It is a week later in the lectionary readings, but many months after Christ’s baptism in the River Jordan. 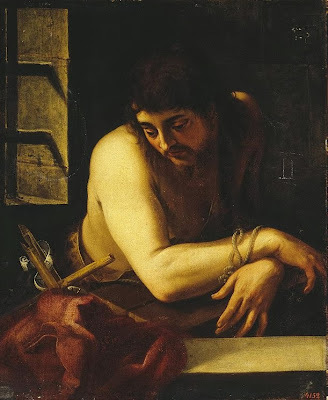 Saint John the Baptist has preached himself hoarse about looking forward to one who is more powerful than he is. However, since then Jesus has not been wielding power in the way John may have hoped for or may have been expecting. Now as John waits in prison, about to lose his head, perhaps he wonders whether he made a mistake in thinking Jesus is the Messiah. Perhaps he is feeling discouraged and doubtful, he sends messengers to ask Jesus: ‘Are you the one who is to come, or are we to wait for another?’ (verse 3). The simple answer for Christ might have been: ‘Yes.’ Instead, however, Christ points Saint John, the messengers and the crowd to the signs of the Kingdom. Echoing the Prophet Isaiah, he points out that the blind see, the deaf hear, the lame walk, the lepers are healed, the dead are raised and the poor receive good news. These are not mere claims, but incontrovertible proof. Yet, apparently, there are some who take offence at Christ (verse 6). Perhaps even Saint John the Baptist has been disappointed because his expectations of the Messiah are not being fulfilled by Christ. He is hardly the king of the coming kingdom – after all, he is not ‘dressed in soft robes’ (verse 8). The term ‘soft robes,’ used twice in this verse, has resonances of self-indulgence. Is this what gives rise to Saint John’s doubts? Is it possible that Saint John was expecting for the wrong kind of Messiah? Indeed, is Jesus the one John the Baptist has been waiting for? When Saint John’s disciples return and tell him what Christ has told them, does Saint John conclude that Jesus is not the Messiah he has been waiting for? Does John think he has been waiting for the wrong kind of Messiah? How often have you waited expectantly – for Christmas, for a Christmas present, for a new job, for a major family milestone, for the move to a new home – only to face the realisation that your expectation has been unfulfilled? Another pair of socks? The wrong job with low pay, high expectations and bad conditions? The family milestone upstaged by a family crisis? The new home has horrid neighbours? Is the person I loved so many years ago really the person I live with now? Picture Vladimir and Estragon in Samuel Beckett’s Waiting for Godot, lonely and empty by the side of the road, waiting forever for Godot who never arrives. Picture Eleanor Rigby in the lyrics of the Beatles, waiting alone at the window, alone among the lonely people. Picture Saint John the Baptist, waiting in prison where he has been sent by Herod the Great. Now he is tired. He has grown discouraged. He is questioning. He is like us. He jumps to hope with power and aggressiveness. But later, when he is dispirited, he has questions, and he has doubts. Is Jesus really the Christ he is looking for? What happened to the John the Baptist who said Jesus would chop down fruitless trees and throw chaff into the fire? Has Jesus spent his ministry throwing chaff into the fire? Saint John, who has devoted his entire life to preparing the way for Christ, now seems not to even recognise Jesus when he comes. Has Jesus come in a way that John does not expect. Should he and his disciples look for another? Christ refers to the signs of the Kingdom in Isaiah. Saint John is ‘more than a prophet’ (verse 9), for he heralds the dawn of the final era of history and he announces the coming of the Kingdom. Now Christ validates Saint John’s ministry as a true prophet, quoting a prophecy from Malachi in verse 10, and then equating Saint John’s ministry with the returned Elijah (verse 14). At that time, Jews believed the time of the prophets had come to an end. But they understood Malachi’s words to mean that Elijah would come again, heralding the advent of the Messiah. Christ criticises the people who went out to see Saint John the Baptist in the wilderness with the wrong expectations. What they actually saw was greater than they could ever imagine. Yet even Saint John, as great as he is, only points the way to an even greater reality (verse 11). Now the fulfilment of this promise is beginning to be worked out and to be seen. When we are disappointed, when our expectations of the coming Kingdom are dashed, is it because we are not looking for the signs of the Kingdom that are all around us? The gift of Christ is precious, but does it always meet our expectations? Are we prepared to look around and notice new places where Jesus is working and living? If you were told: ‘Go and tell John what you see and hear,’ where would you say you see and hear Christ at work today? I am not blind, lame, leprous, deaf, poor, downtrodden, dead … surely? Am I? Christ comes in humility for the humble. He comes for those who do not have it all worked out for themselves. I am not humble; so often I think I have it all worked out. No, I do not agree with those who argue that Saint John the Baptist doubted whether Jesus is truly the Christ. Often, these arguments are built on ‘paperback psychology’ – thinking that fails to examine the person being discussed. 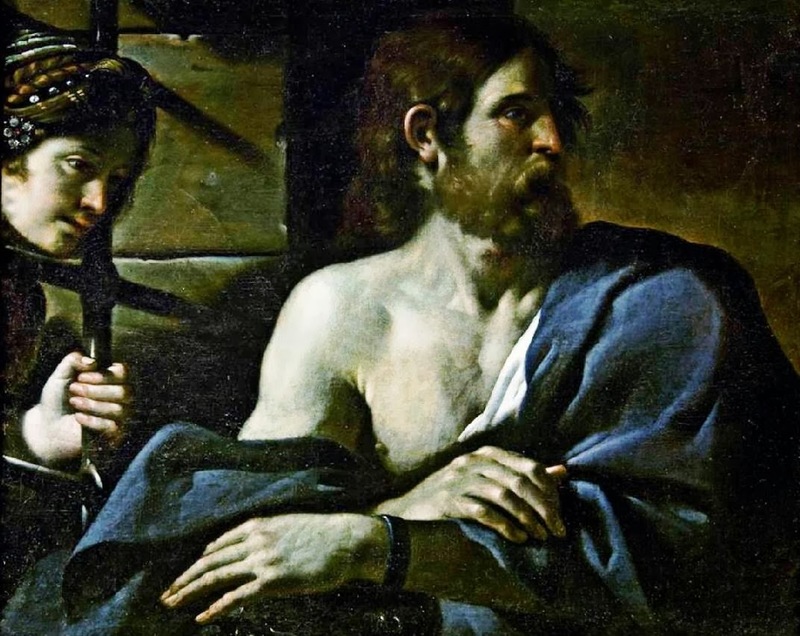 It is not Saint John the Baptist who is a reed swaying in the wind, blown about by the happenings of the world and the persecution he now faces. It is the people who went to see him who are now being told they are like reeds swayed by the wind. Saint John remains a prophet and more than a prophet – he rejoices to see the fulfilment of the Promise, and he knows that Jesus Christ is the Messiah, for he sees the Holy Spirit descending on him and remaining on him. He knows that Christ is the Lamb of God who takes away the sin of the world. One of his own disciples, Saint Andrew, becomes the first-called among the disciples of Christ. Saint Jerome says Saint John’s questions arise not out of ignorance but in the same way that Christ asks where Lazarus is buried, so that those who show him the sepulchre might be so far prepared for faith, and believe that the dead are raised again to life. 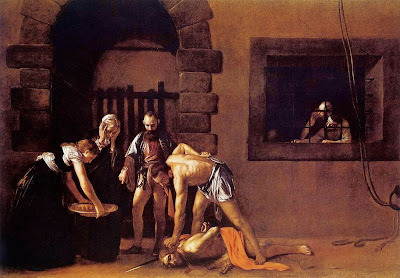 So Saint John, who is about to be put to death by Herod, sends his disciples to Christ, ‘that by this opportunity of seeing his signs and wonders they might believe on him, and so might learn through their master’s inquiry’ (Jerome, Catena Aurea, Matthew 11: 2-6). 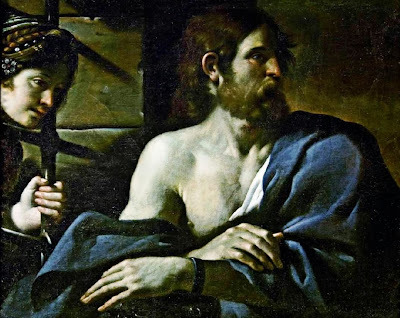 By sending them to question Christ about his mission, Saint John the Baptist offers his disciples the opportunity to become true disciples of Christ. This is the opinion of Saint Hilary, Saint Chrysostom, Saint Cyril and many other patristic writers. Saint Gregory the Great holds that Saint John the Baptist truly questioned whether Christ was the one who would come. But this does not imply that Saint John doubted whether he was the Messiah, but only whether he was the one who would come – meaning the one who would come into Sheol to retrieve the souls of the just who are waiting. As Saint John realises his own death is near, he seeks consolation from Christ who is to deliver the dead from the power of death. (Revd Canon Professor) Patrick Comerford is Lecturer in Anglicanism, Liturgy and Church History, the Church of Ireland Theological Institute, and an Adjunct Assistant Professor, Trinity College Dublin. These notes were prepared for a Bible study in a tutorial group with MTh students on 30 November 2016. Today is the Feast of Saint Andrew the Apostle [30 November 2016]. The season of Advent began on Sunday [27 November 2016], and throughout this time of preparation, I am praying each morning and using for my reflections the prayer diary of the Anglican mission agency, USPG (United Society Partners in the Gospel). Pray for the millions of women who suffer in silence having endured sexual violence at the hands of family members or strangers or during wars. Isaiah 52: 7-10; Psalm 19, 1-6; Romans 10: 12-18; Matthew 4: 18-22.
to our Saviour Jesus Christ.